Shamelessly Self Promoting my Web Design Training Package! I come from a family of teachers, and in carrying on the tradition, in 2002, I started creating web design and development courses for all those non-nerds out there. The problem with so many code courses out there, is that they are ‘taught’ by nerds who don’t know how to teach. Yes, you are right, teaching is a separate skill from coding. Imagine that!! Fortunately, my experience teaching, and 20+ years experience as a coder/programmer, gives me the right mix of skills that allows me to create learning experiences that are fun, easy and very effective. You will learn more, and faster with my web design and development training package. Your courses are amazing. I can’t thank you enough. I had tried a few other online programs (free and paid), without success. I felt like I just couldn’t hack it after trying those resources, and that maybe learning to code wasn’t for me after all. But I still had a deep desire to learn how to program. I went back to work on my first (and so far, my only) webpage that I started in CodePen when I was attempting to learn to code through other sources. I left the page in complete shambles, until I found your courses on StudioWeb via your YouTube videos. Now, it looks presentable (in my opinion). I couldn’t be happier. Your courses are so well-done and the sequence makes perfect sense. You fill in all the gaps, and I feel like I actually understand what I’m doing and why I’m doing it, which is very important to me. (I like details.) 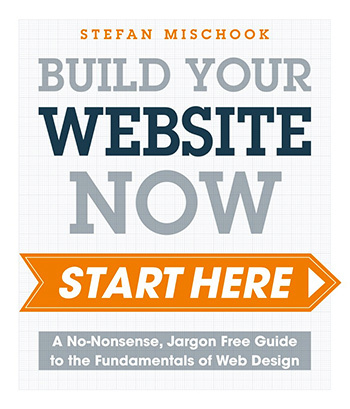 I purchased your book Web Design: Start Here as a reference manual. I’m looking forward to your entrepreneurship course once I complete your web developer course. Forgive me if I’m over the top or inappropriate. I just appreciate your efforts, and I hope that your websites gain many new subscribers. Stacey was nice enough to give me permission to use her email. Thanks Stacey! If you would like to learn web design and programming as quickly as easily Stacey has, check out my courses. Some of the most important things programmers need to learn, are the foundational concepts and techniques I refer to as the ‘core’. • consistent and proper naming conventions. • using accepted design patterns like MVC. • importance of being consistent with the way an apps’ codebase is structured. Sadly, fundamentals like these are omitted by most online courses. These lessons should be interwoven within the context of any good programming course. The ‘core’ principles are soooooo important, because they not only provide a solid foundation, they actually speed up the process of learning. Someone asked me, if I had to pick the most important things you can do to improve your programming, what would it be? Have a consistent self describing naming convention. This saves you yuuge time because you will make less mistakes and be able to code more quickly. Keep your code fine-grained. This means you write functions and methods that do only 1 thing … Not five. This will keep your code easy to understand, to debug and expand. The first thing to do when starting a new project, is to see what others have done. Perhaps there will be libraries to leverage, perhaps even entire open-source software you can use as a starting point. This is yuuge! When learning a programming language, you are going to make many mistakes – it’s normal that your code won’t work the first few times. That said, the key to learning code, is to write code as soon as possible, and as often as possible. … Even if the code you are writing, does not make sense to you at the time. I was recently reminded of the anxiety most people experience when learning something new. Case in point, though I’ve been creating videos for many years, I always just used the camera’s automatic settings. I didn’t really know much about my equipment. … I wanted more control over the video I was shooting. At first, understanding these basic concepts was confusing, and I was wondering when it would all sink in … therein lies the anxiety. The not knowing if you will ever get it. In the end, as it is with learning to write code, I just had to use the camera … you have to jump into it and start practicing. Over the years (since 1994,) I’ve learned 9 programming languages. That may sound impressive, but it isn’t really. Like learning to drive a car, once you understand one programming language, you pretty much understand the basics of all programming languages! So having done this many times, I can tell you that if you want to learn to code, you have to dive in and write code. Write code that was taught in the theory. … It’s about bite-size morsels of delicious little code bits! You have to write lots of code, make mistakes and write more code. Repetition goes a long way. 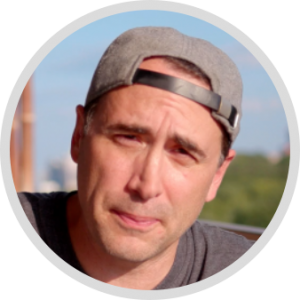 I’ve been in the web development business for over 20yrs now, and one consistent problem for many well meaning nerds, is the over engineering of web apps. This extends to all development as well, not just the web developers. … The old KISS acronym “Keep it simple, stupid”, seems to be forgotten with every new generation of developers. If you like web development and you like things simple and easy, then you will probably like my Interactive Web Developer course package – it’s the best I’ve ever made and people love it. I am writing just to say how happy I am with the courses. Although, I am a member of Lynda and Udemi, your courses are way better. For me you are the HIDDEN GEM, the YODA of web design. Thank you for sharing your knowledge. You can learn to code easily with me, by taking my powerful course and training package. Everyone knows that kids who learn to code, will have a big advantage in the workplace and in life. Besides the fact that coding is a valuable skillset with an amazing number of high paying jobs, the mental training that comes with learning to code cannot be underestimated. If you don’t know web design and coding, you need a structured curriculum that will gently teach your kids. Courses have to be easy to understand, fun and practical. Yes, practical: nothing motivates kids to learn when they see that they are building real things. … What’s more fun for a kid, to learn to drive a go-cart, or a real car? Which coding languages should kids learn? Besides being used to create all the world’s websites and web apps (ex: google, facebook, amazon), these coding languages are also a popular choice in creating games and mobile apps that work on iPhone, iPads, Android devices and even Windows mobile devices. Another great thing about these languages is that they are visual: students see their code come to life in real-world projects. This touch of reality is far more engaging than writing code that moves a character around a screen in a simulator. I’ve been coding since 1994, teaching code since 2003 and helping schools teach code over the last 6 years. That experience teaches you a lot about teaching. If you want to easily home school your kids in code, feel free to check out StudioWeb.com.